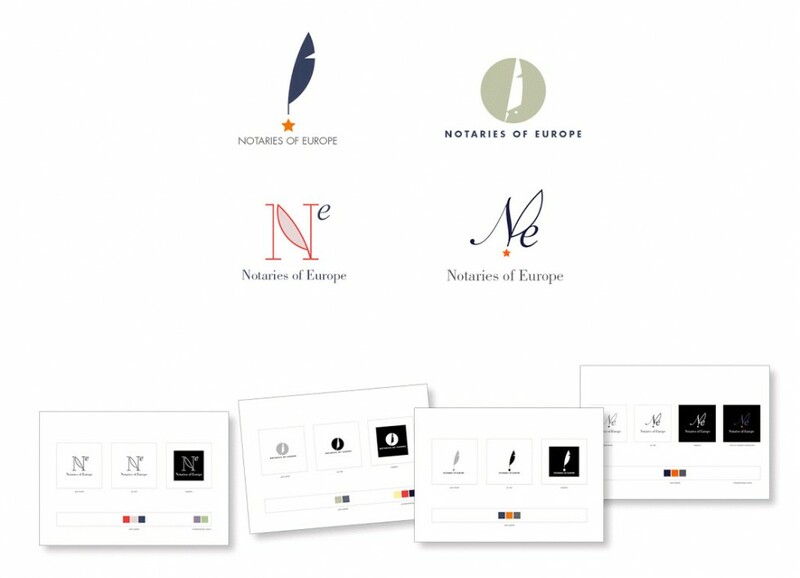 Propositions de logos pour l’association européenne des notaires (CNUE). Pour chaque proposition, j’étudie les versions au trait, en niveaux de gris, en négatif, ainsi qu’un palette de couleurs primaires et secondaires. Notaries are public office holders and part of the legal order in the 22 EU Member States based on Latin civil law. Their essential mission is to confer authenticity on the legal instruments and contracts they establish for their clients in areas of law as diverse as marriage contracts, company statutes, wills, real estate transactions, etc. The Notaries of Europe are firmly committed to the construction of a legal Europe. The Council of the Notariats of the European Union (CNUE) is the official body representing the notarial profession in dealings with the European institutions.